At Renovation Auctions we pride ourselves on providing cost effective bathroom renovation, kitchen renovation and timber supplies, and keeping up the high quality of the materials we sell by auction. Just in case you haven’t caught up with us yet, here are a few facts which might explain the way our company works. 2. We sell by auction quality bathroom renovation, kitchen renovation and timber supplies. 3. Generally the majority of the items put up for bidding are NEW premium quality stock overruns, demonstration or display stock, and discontinued lines. 4. Surprisingly, tradies make up the biggest percentage of our customers, followed closely by home builders, renovators, and lastly the general public who know a ‘good buy’ when they see it. 5. Everything up for bidding in uploaded onto our website weekly at a minimum of 24 hours before our two main auctions take place. 6. 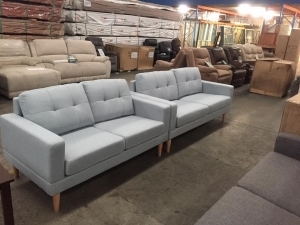 Although some similar items are listed each week, what is listed for auction depends on what our suppliers are offering, so the home improvement and building materials catalogues always changes each week. 7. Our Building materials and timber supplies auction is held nearly every Wednesday at 10am. 8. Home improvement (bathroom renovation, kitchen renovation supplies) auctions are held every Saturday at 10am. 13. The auction process is a little bit different to other auctions you might have attended. 14. Winning a bid at a Renovator Auctions allows for first choice of what items have been bidded on. The second bid, under the winning bid, has second choice; third bid has third choice – and so on until that group of items is gone. 15. For people who find the auction process a little daunting, or who can’t attend the day of the auction – Renovator Auctions offers an Absentee Bids process. To place an absentee bid simply email or phone through your details including the lot number and your bid price and our staff will make the bid for you. Contact us for more information. 16. Renovation Auctions is one of the largest auction warehouses in the Southern Hemisphere. 17. We also offer an extremely competitive custom made kitchen service. 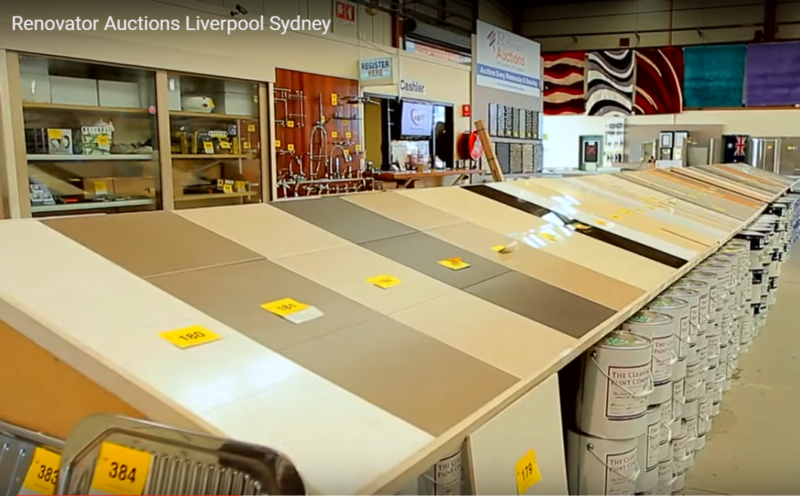 To see all the bathroom renovation, kitchen renovation and timber supplies we have available for auction, come and pay us a visit at Renovator Auctions Western Sydney showrooms, 28-34 Orange Grove Road, Liverpool (Warwick Farm), phone: (02) 9822 7883, fill out the form on our contacts page, or email us. For even more inspiration and tips like and follow us on our popular Pinterest and Facebook pages.